Big changes are on the way for the Mercedes-Benz family of crossover and sport utility vehicles. A new coupe-styled SUV is heading to our dealership later this summer. As the current M-Class of mid-sized SUVs receives a name change to the GLE-Class for the 2016 model year, the all-new GLE-Class Coupe will be born. The GLE-Class will be closely related to the E-Class family of sedans and coupes in both performance and luxury features. One thing is certain when the new GLE-Class Coupe hits our Denver-area showroom this summer, it will certainly get a lot of attention. 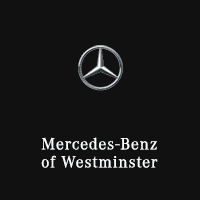 Here at Mercedes-Benz of Westminster, we’ve been aware of the upcoming name change to the midsize SUV lineup since it was announced last year. The designation of GLE-Class will bring the platform into closer alignment with the naming convention of the other Mercedes-Benz SUVs. This stylish and unique CUV will have seating for 5 passengers, and in spite of the “coupe” distinction, it will have 4 doors. In this case, the coupe-styling refers more to the tapered roof line and sloping profile. Still, it will have plenty of passenger and cargo space, like we expect from a true utility vehicle. Although not every detail has been released as yet, we do have a good idea of the expected model and trim levels that will be available when the GLE-Class Coupe is released. The initial model is expected to be the GLE450 AMG® 4MATIC® Coupe. It will be powered by a 362-horsepower bi-turbo V6 engine, with a 9-speed automatic transmission driving the full-time 4MATIC® all-wheel drive. Dynamic Select drive modes in the GLE450 Coupe will include “Individual, Comfort, Slippery, Sport and Sport +” settings. One thing that may take people by surprise will be the standard 21-inch and optional 22-inch tires. Against the coupe-like profile, these tires look especially enormous – amplified by a rubberized black wheel-well trim. Later versions of the GLE-Class Coupe expected to be available in 2016 include a GLE 400 4MATIC® with a 330-horsepower V6, a GLE 350 BlueTec Diesel 4MATIC® with around 450 lb-ft of torque, and a full-blown AMG® GLE 63 4MATIC® with a V8 that will deliver upwards of 500-horsepower. All are expected to use the 9-speed automatic transmission. The all-new GLE-Class Coupe, as mentioned, will share similar interior styling and technology features with the E-Class sedans and coupes. As such, expect a plush and refined appearance. Also expect plenty of tech gadgets and convenience features. Familiar infotainment and COMAND® controller functions will still be here. Wood trim and leather surfaces will exist harmoniously with the technology features, and will provide plenty of luxury to the sport-like driving experience. Many of the active safety features on the current M-Class are expected to be continued, at least in some form, in the new GLE-Class. Things like the Distronic Plus Cruise Control with Steering Assist, Cross-traffic Alert, Pre-Safe Automatic Braking and other features that make the M-Class such a safe vehicle are likely to carry over. Contact Our Dealership In Westminster, Colorado, To Get On The Waiting List! The new GLE-Class is set to carry on the badge of the much loved M-Class of SUVs. Here at Mercedes-Benz of Westminster, we can’t wait to get our first deliveries of these exciting new cross-over coupes. We’ll be sure to keep you informed of the expected delivery dates as they near. If you’re interested in having us contact you personally, please email or call us and let us know. That way you can be the first to own a new generation of exceptional Mercedes-Benz vehicles. For additional information about the 2016 Mercedes-Benz GLE-Class GLE450, visit MBUSA.com.